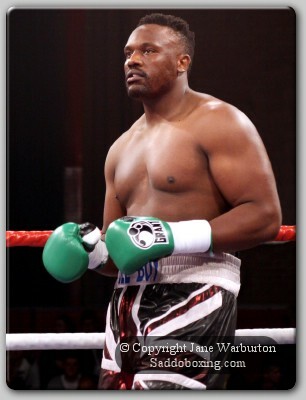 Just a year ago today London based heavyweight Dereck Chisora had lost four of his previous five bouts, including three straight, the last of which was a shattering knockout at the hands of ex-WBA champion David Haye. 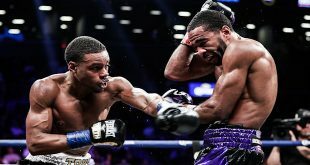 But this past Saturday night saw the 29 year old "Del Boy", 18-4 (12), claim his third consecutive victory, all by stoppage, when he halted 25 year old German Edmund Gerber, 23-2 (14), at London's Copper Box Arena. In the process, Chisora picked up the vacant European title, adding the illustrious belt to a trophy cabinet that already contains the British, Commonwealth and WBO International baubles. Gerber never stood much of a chance once the bell rang, as the Englishman put his rival on the defensive with pressure, raising his efforts in the second with a committed body assault. 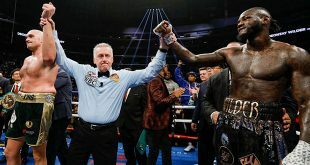 The third saw Chisora's confidence soar as he had his way with his reticent German opponent but the former world title challenger nearly had his wings clipped in the fourth when a frustrated Gerber lashed out and nailed Chisora with a perfect right hand. 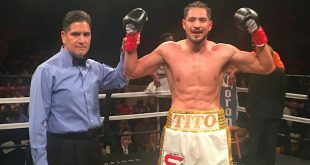 Gerber was unable to further his work and by the fifth frame was obviously on his way to a long, sustained one-sided beating and the bout was called off during the closing seconds. Chisora is likely in line for another world title challenge, possibly getting the winner of the upcoming Wladimir Klitschko vs. Alexander Povetkin contest. Another comeback bid didn't fare so well as British and Commonwealth welterweight king Frankie Gavin, 17-0 (12), smothered the ambitions of ex-British welter and light welter champion David Barnes, 23-3-2 (11). Gavin posted a 118-111, 118-112, 117-112 verdict over Barnes, who was looking to reclaim the belt he wore from 2003-2004. Another dual champion did the business at the Copper Box as middleweight Billy Joe Saunders, 19-0 (10), kept hold of his British and Commonwealth straps with a UD over previously undefeated John Ryder, 15-1 (9), in a battle of southpaws. There was a big clash at super feather as Liam Walsh, 15-0 (10), put a first loss on the record of highly hyped Manchester prospect Joe Murray, 14-1 (5), by MD in a competitive affair, for the Commonwealth and WBO International titles.